Chemistry professor Joseph DeSimone and his colleagues at the University of North Carolina at Chapel Hill have come up with something they’re calling “C4 plus.” The new material uses a type of fluorocarbon which is less likely to degrade. Paul Anastas is director of the Green Chemistry Institute and he says C4 plus is just what the doctor ordered. Anastas says manufacturers could switch to the “greener” ingredient very soon. For the GLRC, I’m Fred Kight. EPA spokesman John Millett says the organization has been reviewing the MPG calculation methods carefully and plans to propose changes to the system by the end of this year. He says the last update to fuel economy measures was in 1985, and many things have changed since then. Millett says it’s too early to say how far off the current estimates are, but many experts say there’s a ten to fifteen percent difference between official MPG ratings and real results. Millett says it’s important to remember there’s no perfect test and fuel economy ratings are estimates, not predictions. For the GLRC, I’m Celeste Headlee. Missouri Attorney General Jay Nixon filed the suit on behalf of a couple from Herculaneum, Missouri, who claim their son was poisoned by a nearby lead smelter. Nixon says the EPA last changed its airborne lead rules fifteen years ago. An EPA spokeswoman says the agency did not ignore the issue, but instead of updating emissions standards, regulators decided instead to focus on specific sources of lead pollution. For the GLRC, I’m Matt Sepic. Mercury Report to Undercut Epa Trading Program? The National Oceanic and Atmospheric Administration examined where mercury pollution in Lake Michigan is coming from. The data haven’t been publicly released yet, but sources say Midwestern power plants are the biggest culprits. If true, that could undercut the EPA’s new mercury trading program. That lets dirty power plants buy the right to pollute from cleaner ones. Howard Learner’s with the Environmental Law and Policy Center. He says the program’s wrong because it treats all mercury pollution equally. Several state governments are fighting the EPA’s trading program in federal court. They’d like NOAA’s data, but the states and public will have to wait until the EPA reviews it. For the GLRC, I’m Shawn Allee. The bill’s sponsors say they’re trying to reduce the amount of conflict that comes up when the Endangered Species Act is enforced. They say developers face too many hurdles when they want to build on, log, or mine private land. Jamie Rappaport Clark is a former director of the U.S. Fish and Wildlife Service. She says the current law already allows most development projects to go forward. Today, landowners have to go through a permitting process before they’re allowed to develop land that might harm an endangered species. That requirement might change if the current version of the bill is eventually signed into law. For the GLRC, I’m Mark Brush. Drama is a unique way to connect children with their textbooks. The office of Professor Buck Favorini is in a tall gothic tower. It was the inspiration for Gotham City in the first Batman movie. Inside his tower at the University of Pittsburgh, Professor Favorini has his own superhero story. His children’s play, Rachel Carson Saves the Day, is a science lesson in the language of children. Favorini says if Rachel Carson hadn’t been smart, bold, and risky, pesticides like DDT might still be in wide use. Some people honored her for her book Silent Spring. Others saw her as a reckless, unpredictable scientist threatening their chemical superhero. Perched on a hill, overlooking another part of Pittsburgh, is Spring Hill Elementary. The staff is actor Elena Block and stage manager Josh Futrell. They hustle to assemble silver pipes of scaffolding and hang two white screens. While Block is on stage as Rachel Carson, Futrell controls the images, music, and the voice of “Little Rachel’s” Mother. The play begins with Rachel as a young girl. She grows up quickly to become a marine biologist with the U.S. Fish and Wildlife Service. Her scientific observations reveal chemicals like DDT are contaminating waterways and silently creeping up the food chain. The Chemical industry attacks Rachel for her ideas. Images of nature and chemical compounds flash on the screens behind them. Super Rachel uses cartwheels and karate chops to over power Chemical Man. Super Rachel prevails and DDT is officially banned in 1972. After the play, it’s clear the students of Spring Hill Elementary were paying attention. 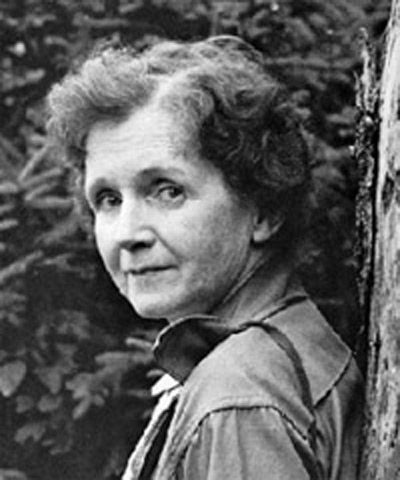 Not everyone agrees with the conclusions of Rachel Carson’s book, Silent Spring. Some scientists say Carson misrepresented existing 1950’s data on bird reproduction, and others say the very threat of malaria in developing countries should trump possible environmental threats of DDT. Actress Elena Block thinks despite these criticisms, Rachel Carson’s story has much to offer children. 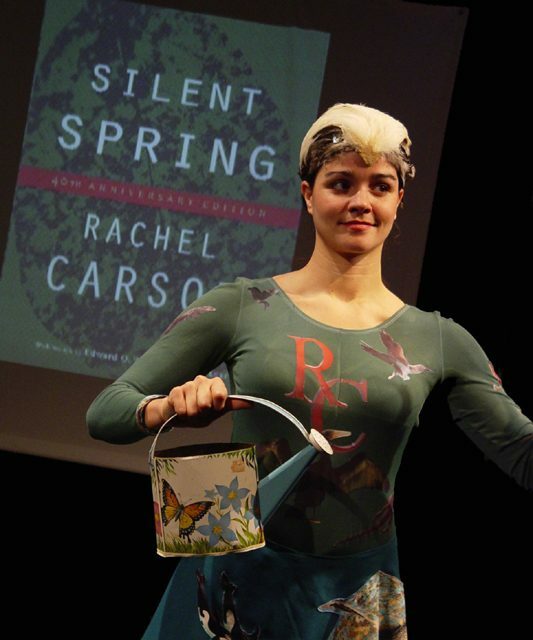 Rachel Carson Saves the Day starts its second year of touring this fall, and perhaps it’s fun, multimedia look at environmental protection will inspire America’s next generation of intrepid scientists. For the GLRC, I’m Lisa Ann Pinkerton. 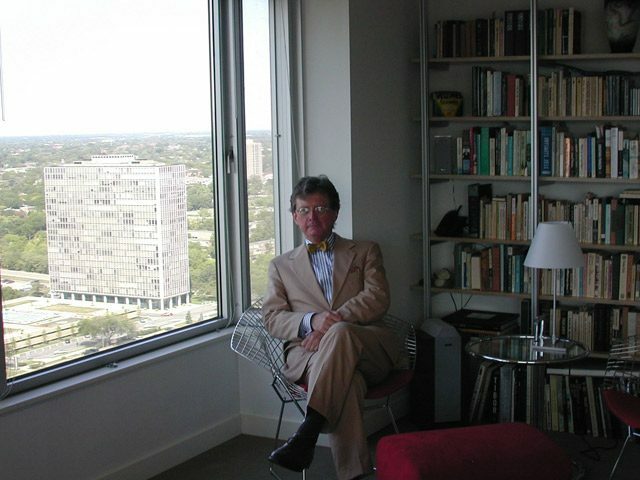 Jerry Herron is an American Studies professor at Wayne State University. 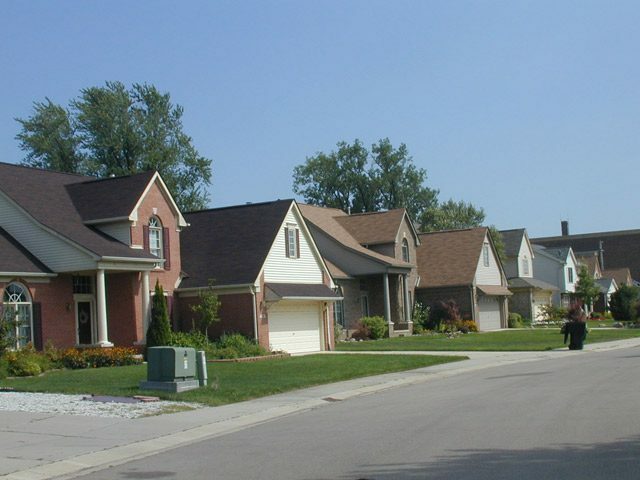 He says that this gated community has everything that people associate with suburbia. cul de sac right in the middle of the city. That kind of thinking runs counter to what many urban planning experts might say. In fact, the success of Victoria Park might seem to be an oddity in planning circles, because most planners believe that it’s a specifically urban lifestyle that attracts people to cities, one that involves chic apartments, condos and busy streets, not lawn care and attached garages. Regardless of whether they choose to live in private houses or high rise buildings, people who choose to live in the city like being able to spend less time in their cars than they would if they lived in the suburbs. And they like the cultural attractions and diversity of the cities. And even if it might seem suburban compared to life in other cities, life in this city is still very different from life in the suburbs. Olga Savich grew up in Troy, Michigan a north-west suburb of Detroit. She now lives in a high rise building near downtown. right in the middle of it. And while a lot of people see Detroit’s big, empty urban spaces and abandoned and decaying buildings as the city’s big problem, other people are attracted to exactly those things. Jerry Herron lives in the same building as Olga Savich. Like a lot of big cities with decaying centers, Detroit is working hard to bring people in. Experts are thinking hard about what kind of cities people are looking to move to. And Herron says that anyone who’s trying to make a city like Detroit appealing to outsiders would do well to work with what the city already has, rather than trying to make it like other cities with different histories. For the GLRC, I’m Nora Flaherty. The emerald ash borer is killing ash trees throughout much of Michigan, and it’s spreading. It’s been discovered in parts of Ohio, Indiana, and Ontario. Michigan State University entomologist David Smitley suggests homeowners work to stop the spread of the insect by treating the ash tree while they’re still healthy. entomologist James Appleby says that’s not enough. That’s because too many don’t know about the emerald ash borer, and will fall back on spraying when it’s too late. questioned had never heard of the emerald ash borer. For the GLRC, I’m Jeff Bossert. Will Katrina Ease Lumber Trade War? There are concerns in the U.S. that the huge job of rebuilding New Orleans in the wake of the hurricane could lead to spikes in the cost of construction materials. The U.S. Treasury Department says it will monitor the situation, and if it’s in the best public interest, then it could drop the tariffs on Canadian lumber. Jamie Lim is with the Ontario Forest Industries Association. Lim says it would be the best move for all. Canada provides up to a third of the softwood lumber used in construction in the U.S., but for the past four years, Canadian producers have been paying more than twenty-five percent in tariffs and punitive duties. That’s estimated to have increased the average cost of a house by about a thousand dollars. For the GLRC, I’m Dan Karpenchuk. Resources Canada. The two agencies are forming an initiative to help truckers save fuel. Bridge in Detroit to sign a memorandum of understanding. The new partnership brings together fuel-saving technologies developed in the EPA’s Smart Way Transport Program with driver education and training programs from Natural Resources Canada. EPA officials say the voluntary program could save up to 440 million gallons of fuel each year in addition to eliminating 5 million tons of carbon dioxide. Suzanne Rudzinski is with the EPA. the U.S. and Canada each year. For the GLRC, I’m Jerome Vaughn in Detroit.